The Christmas party market has been hard hit with venues reporting a fall in bookings of up to 25% on 2008. 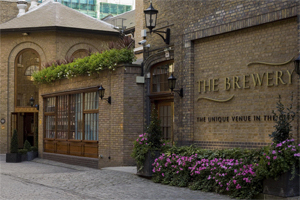 The Brewery, in London, said bookings were down by 25% to around 14,000 covers. The venue also saw a fall in party budgets. Merlin Entertainments Group, whose corporate clients include Afren and Legal & General Investment Management, saw bookings drop by around 10%. Concerto Group chairman Mike Kershaw, who helped launch an industry-wide 'Say Thank You at Christmas' campaign in October, said the agency's numbers had remained steady at around 75,000 but spend had fallen by 15%. Elsewhere, however, Christmas parties appeared to make a comeback. Honda UK cancelled its parties in 2008 but paid up to £40 per head towards a party in Swindon in December.